Cache hits vs disk hits. 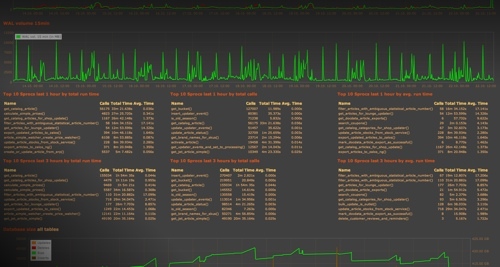 Dashboard with top stored procedures for the last 1 and 3 hours. Displaying top 10 by number of calls, total time spend, and average run time. These values can be customized on the configuration file. General stats about a specific stored procedure. These graphs are all rendered on the browser, so you can use the mouse to zoom in and out to specific time frames. 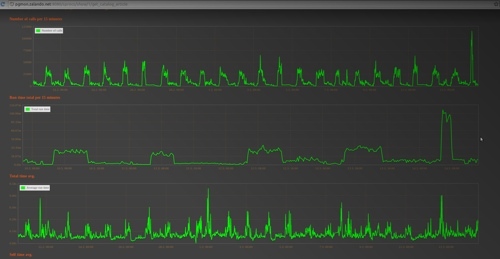 Graphs showing CPU load and time spend in stored procedures, quickly showing displaying if something is of, e.g., lock contention. Basically PGObserver consists of two components, a Python web frontend plus a Java data gatherer. 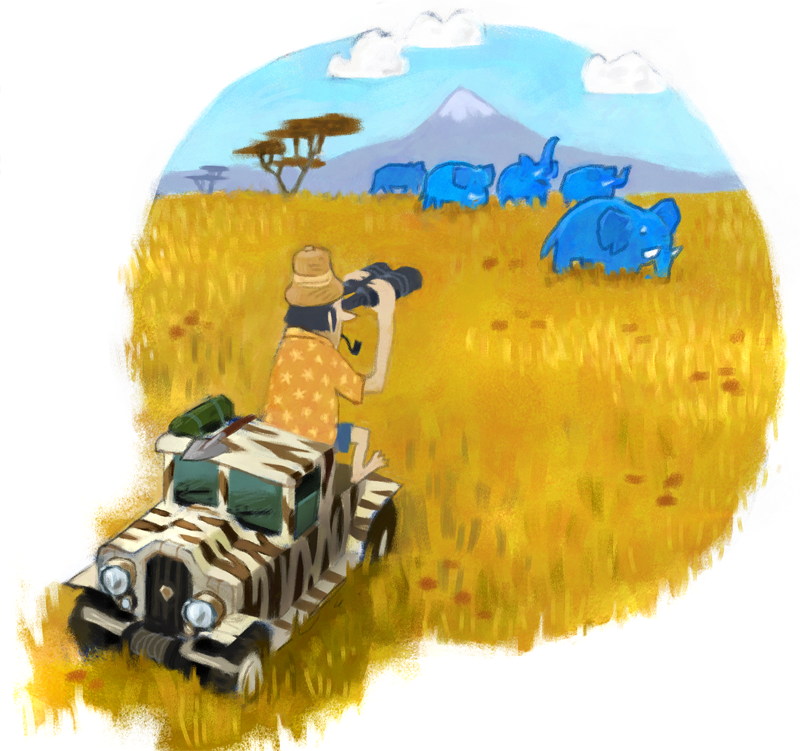 One gatherer takes care of monitoring a defined set of PostgreSQL databases and snapshotting the performance views in defined intervals. The amount of snapshots can be configured on a per database per metric way, giving you more flexibility what you want to monitor and how much data will be created. You can setup more than one gatherer, if required, each with its own set of clusters to monitor. The PGObserver is just one of our Python/PostgreSQL tools developed and used by Zalando's database team, and we want to share it with you. Go grab it, it's free: to use, to share, and to hack.